Beautiful Metal Carved Oil Lamp For Home decor Exclusively available Only At InterioCrafts. 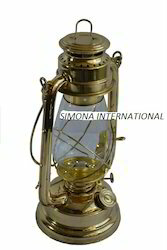 Our firm is engaged to provide quality approved Oil Lantern to our valued clients at the lowest prices. 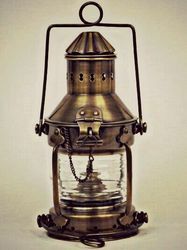 Oil lanterns are a boon to rural households where, after dark, carrying on any sort of work is practically impossible. Especially affected are women and students who find it difficult to work and study. The 9" round cargo oil lamp is made of brass. The functional lamp looks great indoors or outdoors. Nautical aluminum red port oil lantern. It is made of brass. It is red port oil lantern. It is decorative to home.